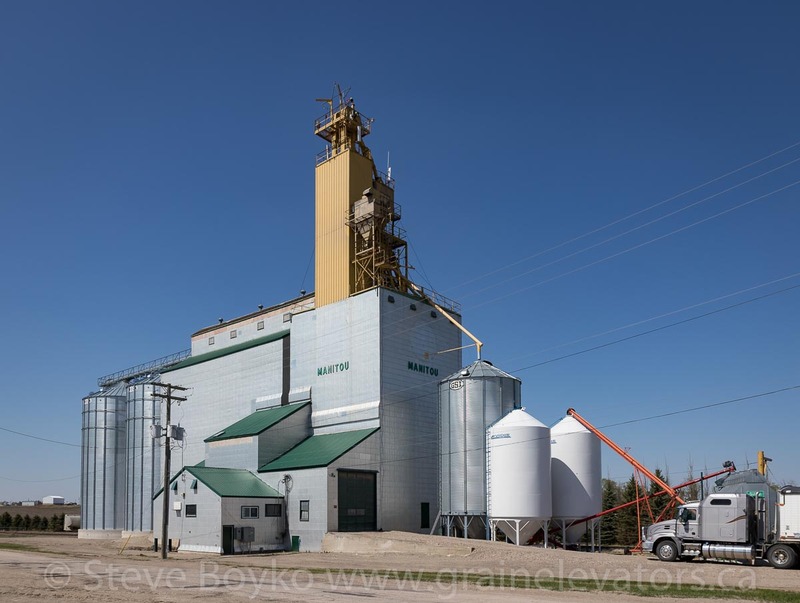 Manitou, MB grain elevator, May 2014. Contributed by Steve Boyko. 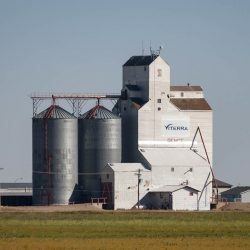 The grain elevator in Manitou, Manitoba is a former Manitoba Pool grain elevator. 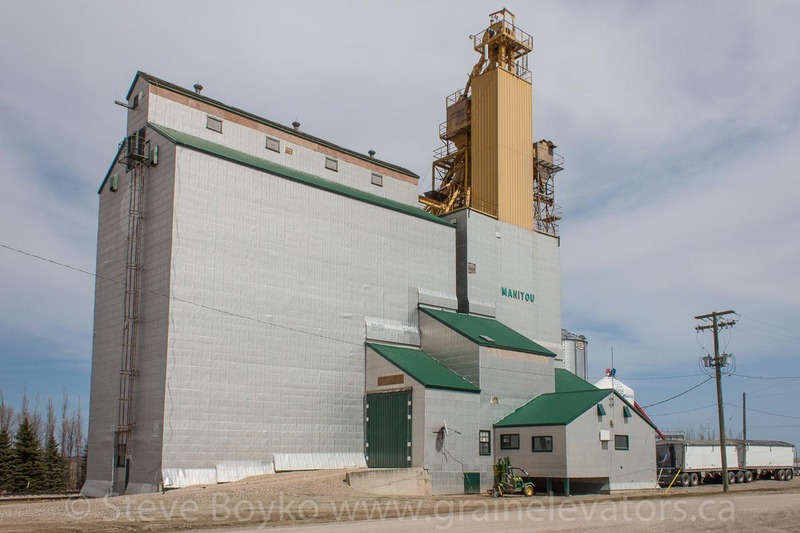 The original elevator was built in 1961 but was extensively modified in 1988. 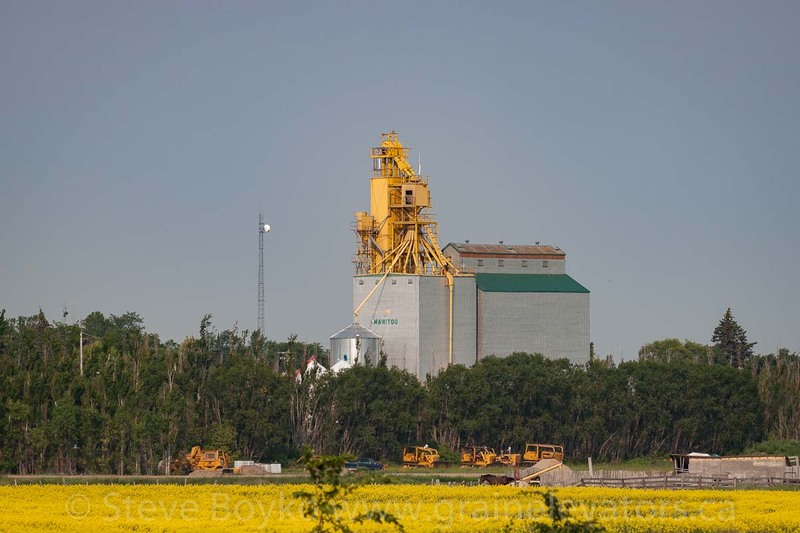 Manitou, MB grain elevator, July 2014. Contributed by Steve Boyko. The elevator was closed in 2001 and was sold to private owners. It is served by the Boundary Trail Railway Company. 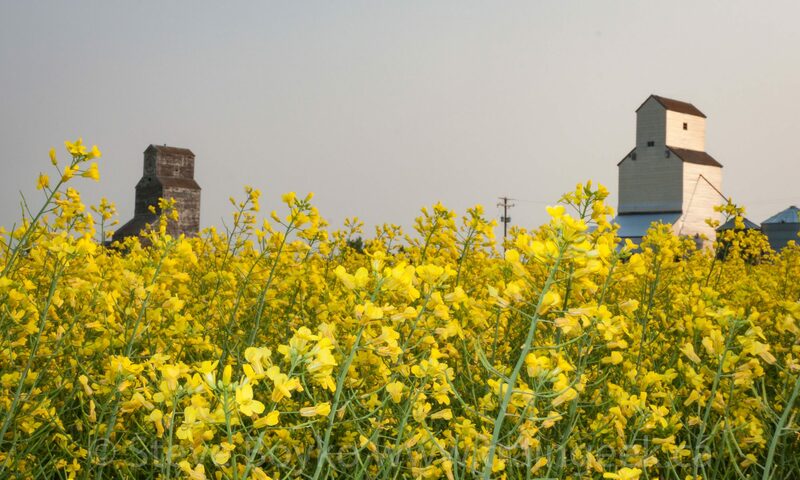 Manitou, MB grain elevator, May 2018. Contributed by Steve Boyko. The photo of Manitou below dates from about 1910 and shows several grain elevators in Manitou: Manitoba Government Elevator #3, a Lake of the Woods Milling Company elevator and at least three others. 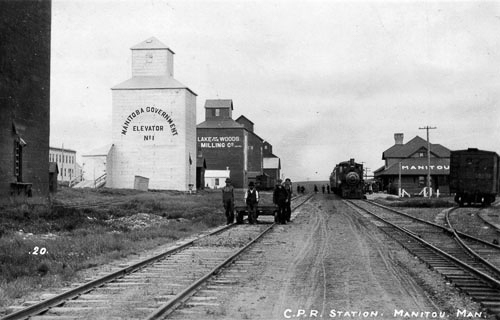 Manitou, MB grain elevators and station, circa 1910.